Hi, my name is Jen and I am the founder and proud owner of Ocean Weddings & Events. I swapped rainy London for sunny Queensland over 9 years ago and fell in love, not only with beautiful Port Douglas, but also my husband Rian, marrying him on the beach in Palm Cove in 2011. After working as a scuba diving instructor in some of the worlds best locations including Fiji, Thailand and the Great Barrier Reef, I climbed out of the water and into the office. Working in sales & marketing and business events with key members of the boating, tourism and events industries for the last 4 years, I have built up an extensive knowledge in what this beautiful region has to offer. 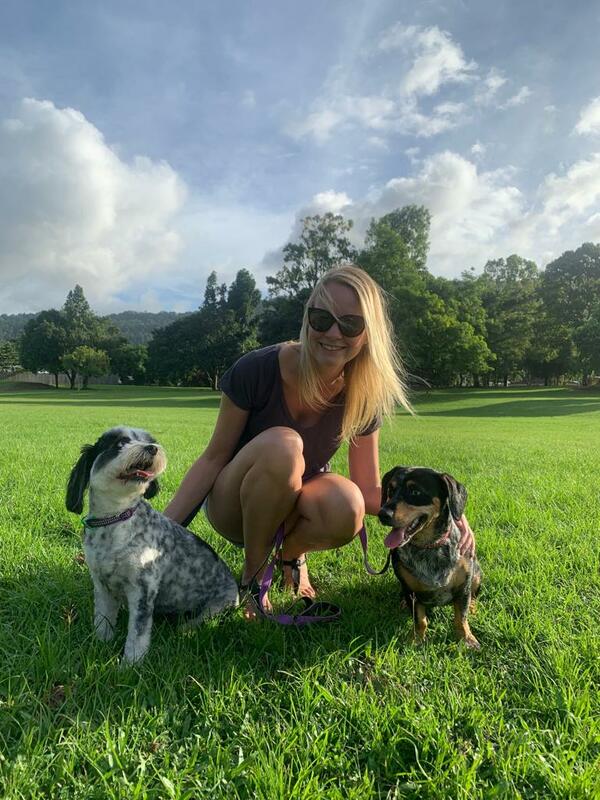 My passion for the ocean and love of event planning lead me to start Ocean Weddings & Events, bringing along my husband and not forgetting the most important members of the family, Frankie and Luna! Since starting my business I have had the pleasure of planning multiple weddings along with other events such as baby showers and birthday parties. I was a finalist in the 2017 Douglas Business & Tourism Awards and in 2018 a winner! Taking away the runner up award for the Best Wedding Co-ordinator. I was also voted #1 Winner in the Brides Choice Awards 2018 for the Wedding Planning category. I truly love what I do! If you have ever dreamed of getting married under swaying palm trees, with the ocean lapping at your feet, or listening to the sound of the rainforest then Port Douglas and it's surrounds is just the place for you! I will take your wedding, engagement, proposal or special event from visionary concept to professionally executed event with as little logistical fuss as possible, leaving you to relax and enjoy. With a number of wedding packages available I can be there for you from start to finish. I understand the importance for perfection on what will be one of the most memorable days of your life and therefore I will treat your day as if it was my own.